View More In Food Warmers - Page 4. 3 piece set meat claws and large safe or safest, quick, or quickest, no ice needed, defrost magical magic tray. 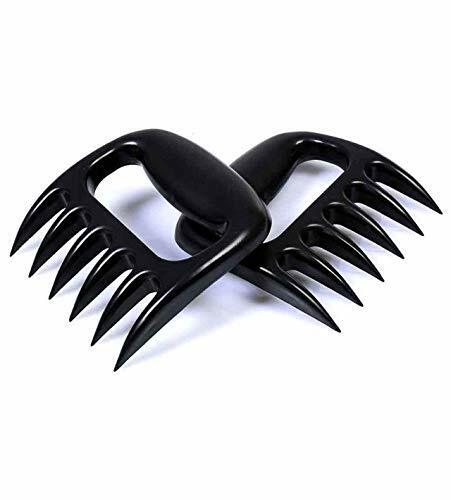 Shred your smoker fresh meat with ease with 2 bear like claws. 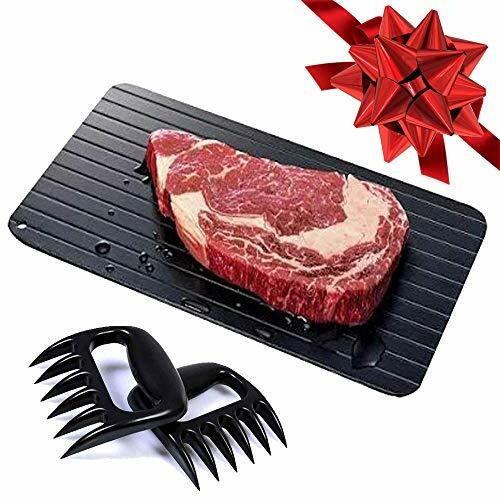 Awesome gadgets for kitchen, apartment essentials, dorm room, college, gameday, etc... Great gift set for Christmas, Thanksgiving, Mothers day, Fathers day, Thaws Frozen Food Faster No Electricity, No Chemicals, No Microwave, Anniversary, house warming, Farmhouse, decor,etc... Include this brand new set with your cooking supplies and accessories!!! 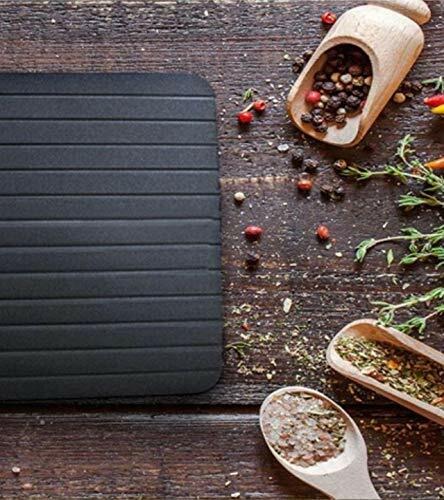 Premium Quality Defrosting Tray (14 in x 8 in): Our magic defroster is made with FDA approved food grade aluminum with a non-stick easy to clean surface! 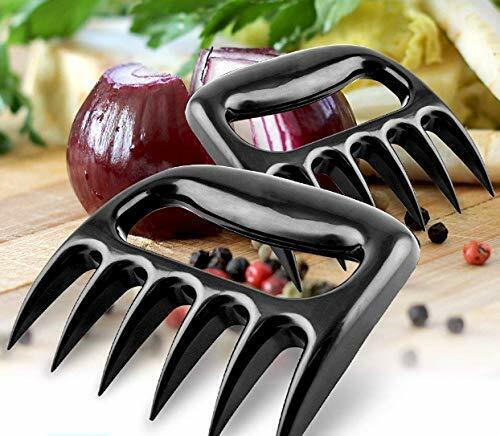 Premium Grade Meat Claws: Our Meat Claws are a TIME SAVER! By using our meat shredder you save your self time and the mess of using a knife and fork. Our shredder is easy and fun to use. 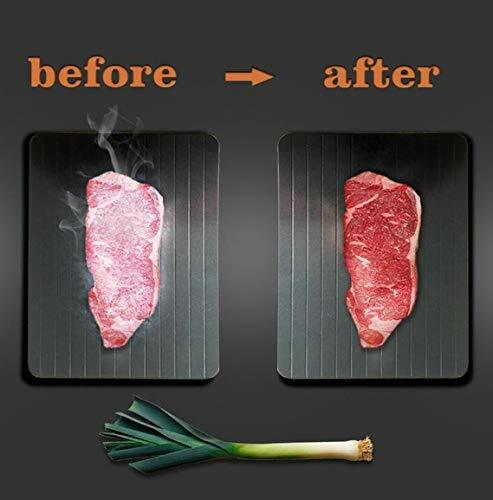 Its intended use is for cooked meat only. SAVE TIME & MONEY: We have bundled 2 of Amazon's most popular cooking accessories here for you! Save TIME and MONEY by purchasing the thawing plate and the shredding claws here together. High Speed Defrosting: Our premium quality designed Thawing Plate allows your food to defrost up to 10x faster than the normal defrosting way. Its also safer than microwave use. Speed up the process even more by running the plate under hot water for about 30 seconds prior to placing your frozen items on it. A superior choice to thawing meat in the microwave, because you don't risk cooking the edges! Apartment Essentials! Just remember to flip halfway through thawing! If you have any questions about this product by BRIGHT TRICKS, contact us by completing and submitting the form below. If you are looking for a specif part number, please include it with your message.